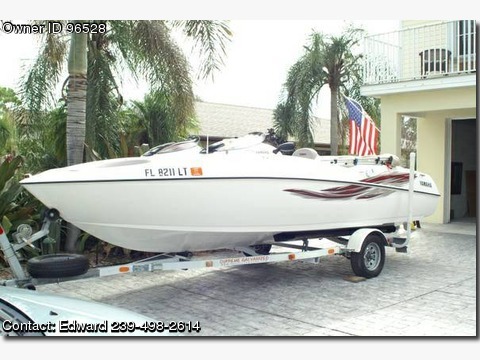 Please contact boat owner Edward at 239-498-2614. Well maintained jet boat very clean, just tuned up and new steering cables, 2013 mooring cover, Garmin GPS, depthfinder, full gauges, AM/FM IPod, Bimini top, bilge pump, carpet, Coast Guard pack, dual batteries, storage, swim platform, compass, cobra jet steering installed. New axel on 2007 trailer.